Fully updated and expanded, the third edition of the top-selling Field Guide to Common Trees & Shrubs of East Africa by Najma Dharani now features more than 520 of the trees and shrubs – indigenous and naturalized exotics – commonly found in the region. Each of the four sections – trees, shrubs, palms and mangroves – is arranged in alphabetical order according to scientific name. • An informative introduction to families. • Species accounts describing the plants’ habitat, bark, leaves, flowers and fruit. • General and commercial applications and uses in traditional medicine. • Almost 2,000 photographs depicting the species, its fruit, flowers and bark. • Glossaries, both textual and illustrated, of botanical and medical terms. 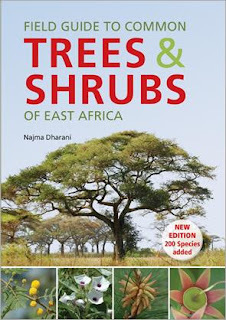 Najma Dharani, the author and photographer, holds a PhD in Plant and Environmental Ecology. She works at Kenyatta University in the Department of Plant Sciences and as Consultant Research Scientist at World Agroforestry Centre (ICRAF) in Nairobi, Kenya.